Are you tired of the standard condiments that are typically added to hot dogs? A tasty way to add flavor to a hot dog or even a hamburger is relish. A dill relish is tasty, but a better choice is a homemade sweet pickle relish which is awesomely good. If you grow your own vegetables, then you might have all you need to make a homemade sweet pickle relish. You will need to have fresh cucumbers and a few other ingredients as a brine is necessary to achieve the correct consistency. Your stove will be needed to prepare the brine for your relish. 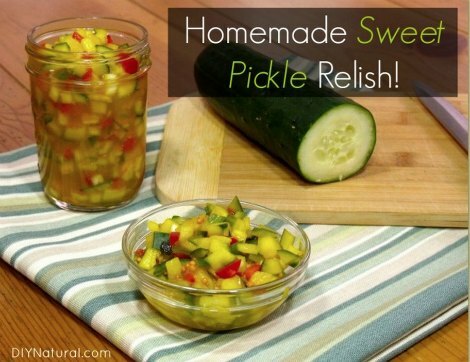 Mason jars or that are used for canning will be needed to make homemade sweet pickle relish. The use of these jars is necessary if you want to have extra relish on hand. However, you can simply place your relish in the refrigerator if you want to enjoy immediately.